Hundreds of thousands of international students are here from around the world and largely fending for themselves in a new country without adequate support from school boards, provincial governments and the federal government, industry experts say. UPDATE: Since first reporting on this story, other media outlets here and abroad have used Tina Liu's images without her permission and out of context. As a result, she has been harassed. For that reason, we've decided to blur her photos. Tina Liu, 16, moved to Toronto a year ago from China to attend high school as an international student. But soon after, she started experiencing problems with her host family and custodian. After living with her hosts for seven months, she told them she wanted to be closer to her Markham, Ont., school. After that, Tina said the family stopped calling her down for dinner, and a few times, she went to bed hungry. When Tina wasn't in class, she spent most of her time alone in her room, feeling isolated and lonely. "So many nights, I cried under my blanket." When she suffered a health emergency in September, she couldn't get a hold of her custodian and only reached him after nine calls and more than five hours later. "He said he was at a party and didn't hear the phone ring." The next day, Tina said her custodian took her to the hospital where she was diagnosed with pneumonia. Hundreds of thousands of international students are here from around the world, many even younger than Tina, and largely fending for themselves in a new country without adequate support from school boards, provincial governments and the federal government, industry experts say. And now settlement agencies, student recruiters and host family companies are urging these bodies to regulate the industry. 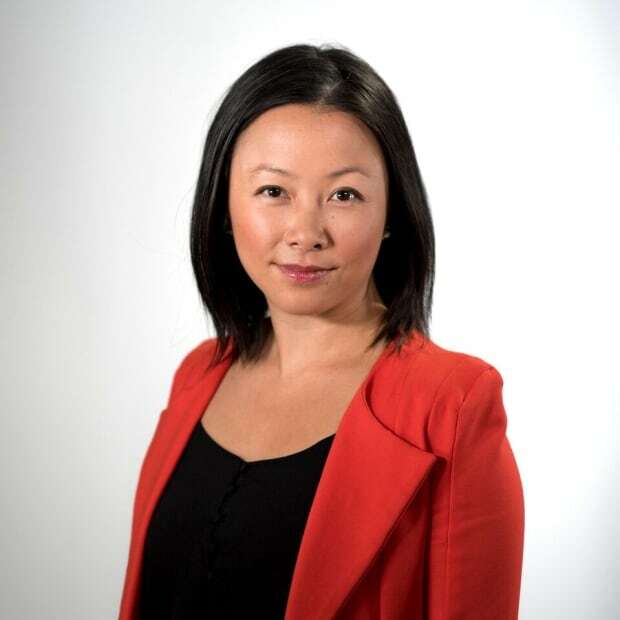 Moy Wong-Tam, executive director of the Centre for Immigrant and Community Services (CICS) in Toronto said the unregulated industry leaves students vulnerable to scams and poor treatment at the hands of the people responsible for the kids' well-being, she said. "It's concerning because we're seeing many gaps," Wong-Tam said. "The system is full of holes right now." When minors arrive in Canada, they have two main points of contact — a host family or homestay, and a custodian, who is a delegate appointed by the parents to check in on their children and help them in case of any emergencies. But Wong-Tam, whose settlement agency provided services to 20,000 newcomers in 2016, about 300 of whom were international students, said the industry supporting temporary residents is largely unregulated. Furthermore, she told CBC News it's unlikely homestay families and custodians can replace a student's parents, particularly when there's money to be made from the system. The students' families typically pay between $950 and $1,300 a month to the homestay family for meals and a place to live, and between $1,000 and $2,500 a year to the custodian, depending on the range of services he or she offers. Without regulation, though, the settlement agency said custodians can charge a lot more and do a lot less than promised as it turned out for Tina. Her parents paid $16,000, about six times the average, for the so-called "super-custodian" package to guarantee her custodian would give her extra attention, which didn't occur. For the two hospital trips, Tina's custodian charged her $300, telling her "the rule is whenever he takes me to the hospital, I will be charged by trips and distance." "I was angry," she said. "But, I didn't want to worry my mom. I can't force my custodian to fulfil his responsibilities, so I knew I needed to become more independent." Tina told CBC News that's why she kept many details of her struggles from her parents and preferred to get permission to speak from her new custodian. Tina's story doesn't surprise George Liu, founder of Sino-Canada International, a Markham company that recruits students from China and finds host families and custodians for them. He is a custodian to about 10 students. He said one teenage Chinese student whose custodian and homestay family didn't set any rules for her got pregnant. She had an abortion. Liu said the custodian didn't feel it was necessary to tell her parents until Liu insisted. 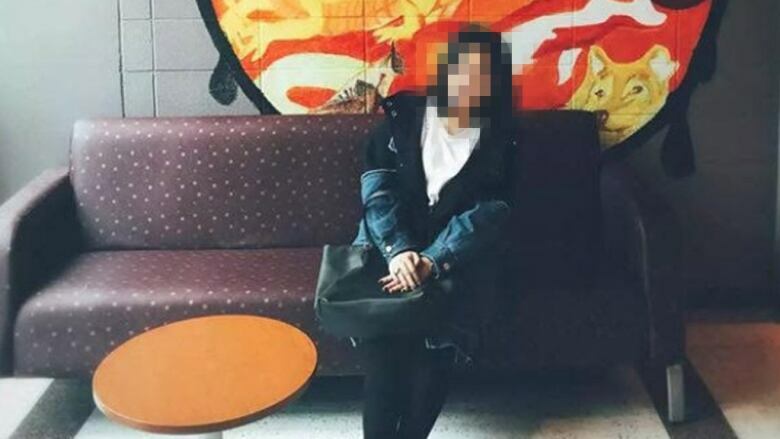 In another case, a teenage girl was diagnosed with depression shortly after arriving and had to return to China for treatment, forfeiting her tuition for the rest of the year. However, Liu acknowledged it's tough for a custodian in Canada to provide the attention the students would otherwise receive from their families back home. "Parents want a lot from our side, but it's a cost issue, money issue. We can't do that much," he said. "In China, kids are spoiled by parents, grandparents. They hope when kids come to Canada they have another babysitter, but it's not possible." Even so, Liu said the Canadian government should implement stricter regulations on custodians and homestays because the number of international students has surged by 51 per cent since 2007. As of 2016, there were more than 400,000 international students studying in Canada, one-third of whom are from China. Currently, Immigration, Refugees and Citizenship Canada (IRCC) requires parents of foreign students under 18 to sign a custodianship declaration form. The federal government's only stipulation is "a custodian is a responsible adult (Canadian citizen or a permanent resident) who takes care of and supports the child." School boards or companies that help families find a custodian have their own rules, including criminal background checks and mandatory insurance. Some, like the York Catholic District School Board, require that the guardian sign an affidavit for his or her role in the student's welfare and a separate agreement accepting responsibility for any "inappropriate behaviour" from the student. 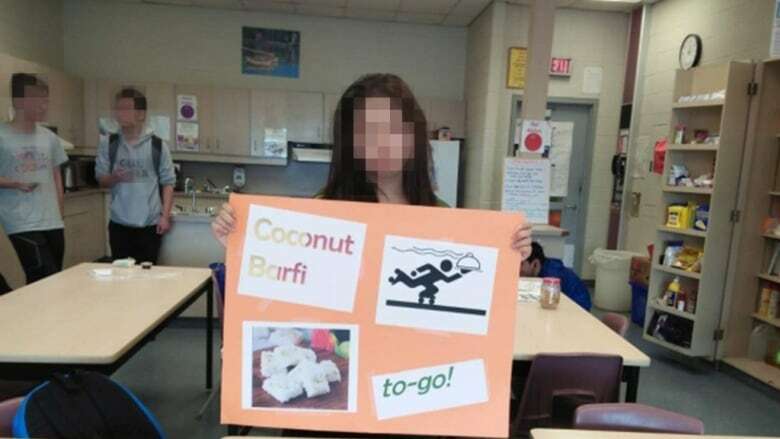 Alex Mazzucco, program co-ordinator of international education at the Toronto Catholic District School Board, said the students sometimes bring up issues to the board, which can get parents involved, but there's no way to take a complaint further with the federal government. "There's no mechanisms with IRCC where you can file a complaint where they'll respond," he said. "We've filed complaints but have not received any response." Culturally, students often don't report issues to the school board or even their parents, said Liu. "Being polite, not speaking up, it's part of Chinese culture," he said. "They don't want to fight with others. When something happens, they first think about themselves. 'Did I do something wrong?'" CBC News contacted both the public and Catholic school boards for Toronto, Peel and York Region. The York Region school boards did not respond to a request for an interview. The Toronto District School Board said its guidance counsellors offer help to newcomers, but when pressed about how specific the help was to the international students, Smita Sengupta, the senior manager of international programs said, "We don't have youth counsellors or workers that are dedicated to international students." She said she would like to see more culturally appropriate staff in schools that are dedicated to the students and youth workers who are familiar with their cultures and languages. When CBC News asked why the visa students' tuition didn't go toward creating these positions, Sengupta said it was a "decision the board has to make." She added the board is working on a plan to strengthen its support for visa students that will address mental health and extra staffing. If approved, it will be in place in September. CICS's Wong-Tam said institutions have a moral obligation to care for the underage students, particularly since "classrooms need international students to fill the seats." An international high school student pays an average of $14,000 in tuition a year, according to Greater Toronto Area school boards' websites. The latest federal government data shows spending associated with international students in 2014, including their visiting families and friends, amounted to $11.4 billion a year, contributed $9.3 billion to Canada's GDP and helped sustain 123,000 jobs. A 2015 Ontario report said international students contribute more than $4 billion to the province's economy annually, generating more than 30,000 jobs. With this much money coming in, Wong-Tam is calling on the institutions to have a dialogue. "I know tragedies happen to all Canadians but international students are so much more vulnerable," she said. "They need a little more help since they're paying more tuition." In an email to CBC News, IRCC said: "Parents or legal guardians are ultimately best placed to select the custodian of their child and to determine whether the custodian is fulfilling the duties entrusted to them." Liu said there's little the parents can do from so far away, so the institutions bringing them in should take more responsibility, including the provincial government, which oversees the school boards. Ontario's Ministry of Education told CBC News in a statement: "If a [school] board chooses to have homestay programs, they are responsible for monitoring homestay families' compliance with applicable requirements (i.e. insurance, safety standards, etc.)." Wong-Tam, Liu and another homestay company that CBC News interviewed said all the parties need to take responsibility. Meanwhile, students like Tina maintain they fend for themselves. She found a new homestay in Markham, where her host parents treat her like family. She also has a new custodian and said she hopes the new person will do a better job than the last one. Meanwhile, her joy at arriving in a new country has "subsided." "I miss home. I want to go home all the time, but I can't tell my parents," she said. "I don't want them to worry about me. They sent me here to study, to have a bright future. I'm not going to let them down." This is the second story of a two-part series from CBC News looking into the system that brings in visa students into Canada and the supports in place for young students who arrive on their own.